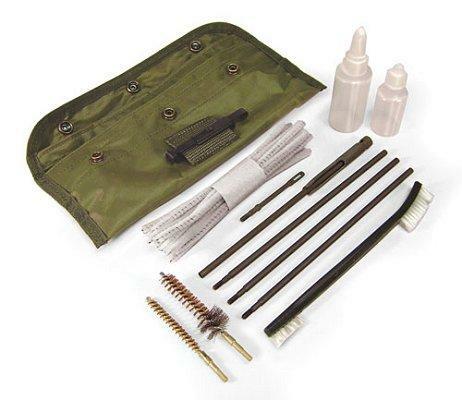 GI-style cleaning kit includes toothbrush/cleaning brush, bronze bore brush, bronze and stainless steel chamber brush, 5 pc. cleaning rods, 2 small plastic bottles for oils or solvents. All in an olive drab nylon pouch with 2 compartments.